I was stacking wood for my greenhouse as wife reported we receved 3 aditional transfers. Thanks to Wayne, Bill and Carl! So Ron mentioned something about the first weekend in June being the target date. Is this date set now? I ask becouse l wuldnt like to take any more money thain nessesery from anyone and for this l need to know the exact ticket price = date. I hope you dont mind me butting in , but i think some sort of a target meter or icon would be a great idea once Kristijan get the rough cost of the trip , that way it lets everyone know how on / off target its all progressing , my only worry would be the flight costs vary so much a price for a flight today might change a whole lot more/less in say in a few weeks or months when enough funds have been raised . I will be happy to meet your character club who lives in real life. Tom, thank you so much for your contribution too! Dave, thats exactly what l wanted to say above. The ticket cost varys greatly on the date. Wife reports we already collected 610€ wich is already enough for the cheapest ticket l culd find!!! Again, l dont want to take any more money thain nessesery! Francois, thats wonderfull news! Glad to see you there. I speak and understand some French (wery limited and rusty), l have no dubt we will be able to comunicate there! Edit: l just saw your post Koen. Thank you wery much! Cant wait to meet you! @BillSchiller , what would be the nearest airport near your place in case i would drop over to your place for a few days ? @Wayne , which is the nearest airport if i would come over to alabama ? The Birmingham airport is about 30 miles away . You have been cleared for a departure from ordinary travel. 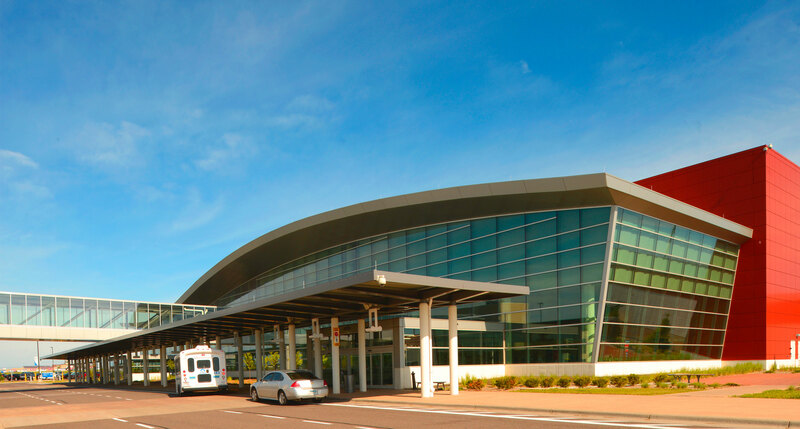 Welcome to the Duluth International Airport. Hmm. I’ll be routing my money cotributions via ChrisKY by snail mail . . . a while ago PayPal and I parted ways. And this way ADMINChris can keep his hand onto some control. I do think now that maybe a central “pool” for international invitees cost-sharing would be appropriate. Me? No. I tried that 3-4 years ago. Even bought the plane ticket. My mind gets lost anymore outside of maybe 4-6 a day on the hard meds rush. Four days in a row the wife has asked me to contact the Christmas tree growing neighbor for a tree. She leaves for the day. Her new two kittens need tending, playing with. The kitchen dishes need doing. The woodstove needs tending. The two dogs asking for walk-abouts and cookies. Ha! Tree? What tree? Laundry? What laundry? Opps. I think instead SHE needs to do the tree. One that talks. "Remember to water me"
A talking washing machine too. "I’m empty. I’m empty. Feed me."
. Think i need to sit down and have another drink . Ok had my drink and i think i would rather pay $3000 for a flight if it only lasted 6 hours why on earth did they ever scrap concord ! why on earth did they ever scrap concord ! NASA and others are working on a quieter model. Thanks to Ron for his contribution! So l hear the date is set. Me and @JO_Olsson are allso planing to make a trip to Alabama while we are in the neighbourhood visit Wayne and Billy. Now the question is wuld you guys prefer us visit before or after the Argos event? Is there a targeted amount we are aiming for? Let us know. Or did I miss it? Now the question is wuld you guys prefer us visit before or after the Argos event? To me it will make no difference if visit is before or after Argos event. However it might be beneficial for the visitors to see my operation or MO ( modus operandi ) and experience the trip . This way they could share their experience with attendees at the event . It will be a long trip of about 650 miles . The dakotas are small on the inside but I can carry one extra passenger . The wife is small enough she will ride in the back seat leaving the front for me and one visitor . Our plans would be leaving Alabama On Tuesday morning driving almost to Argos getting motel room and driving on to fairgrounds Wednesday morning and begin setting up tents and getting ready for the event . Wish I could carry more in the truck but for the long trip more than three would be uncomfortable . It used about 2x as much fuel, thus tickets cost a lot more. You only saved about 20% of the time for a NY to london. People weren’t paying the premium. It also required really long runways. Plus as Jeff mentioned they were extremely noisy. I don’t know if NASA is working on quieter models that go supersonic or not. They are/were working on electrification of aircraft and VTOL along with a bunch of other companies like Airbus, boeing and a bunch of startups. Most targets are just regional types of flights at this point though.